OFFICIAL: Emile Smith Rowe joins RB Leipzig for the rest of the season. Emile Smith Rowe won’t be with the gunners until the end of the season because Arsenal has decided to loan him. Arsenal youngster Emile Smith Rowe has joined Bundesliga side RB Leipzig on a loan for the rest of the season so that he can get more appearances since the North Londoners won’t give him enough game time, and so that he can develop and get more experience. 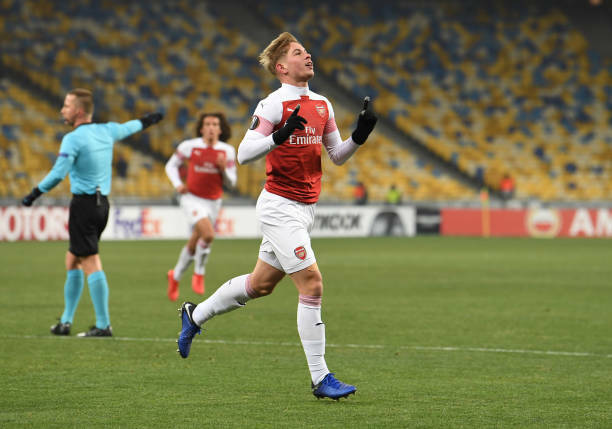 Emile Smith Rowe has been impressive for the gunners this season because he has scored goals in the Carabao Cup and the UEFA Europa League group stage matches and it’s said that the youngster has been promised first team football by RB Leipzig even though he is just 18 years old. The young Englishman goes to Germany after Reiss Nelson who is also an Arsenal youngster went there at the start of this season. Nelson has been impressive this season and Smith Rowe will be hoping to also impress in the German Bundesliga so that he can get more chances at Arsenal next season. Emile Smith Rowe has scored six goals for Arsenal this season and the gunners will be hoping to see him succeed in Germany because he is seen as among their future prospects. The Arsenal fans will be hoping that they don’t get more injuries that will make them miss Emile Smith Rowe in the remaining months of the 2018/19 season. It seems like Arsenal has decided to loan some of their players because Emiliano Martinez has also been loaned to Reading. I enjoy football so much and I am in love with Arsenal Football Club. I always watch the matches and will always give you my opinions about the game here.